Know how to take Emergency Talktime loan in Idea, Vodafone, Aircel, Tata docomo, Airtel, Reliance jio, Uninor or BSNL prepaid using USSD code number. It is very helpful service and can be pretty useful during emergencies when you have no or Zero balance in your mobile phone. 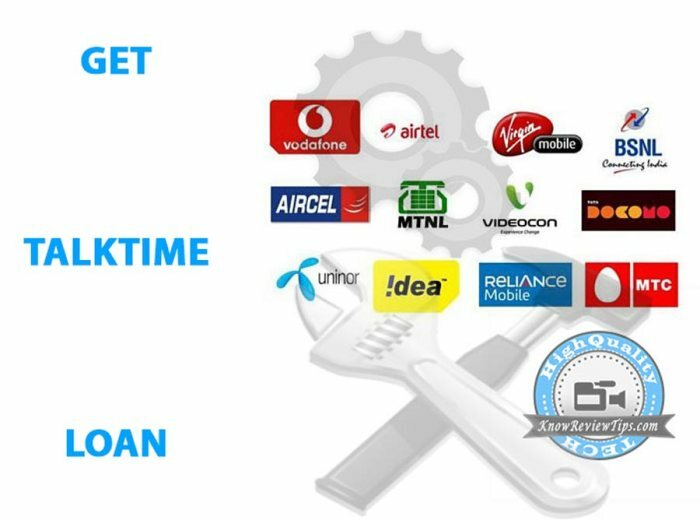 Basically the main motive of taking emergency talk-time loan in Idea, Vodafone, Aircel, Tata docomo, Airtel, Reliance and BSNL SIM card to get 10 RS balance in account for calling, activating daily internet pack etc. Talktime loan can be used in many other ways for example you want to activate an daily internet pack but the don’t have enough balance in prepaid account then you can use the ‘Emergency Talktime’ Credit Service and activate the data plan. Loan will not be approved if balance in more than 5 rupees. You might get error message ” Service not available in your circle”. After dialing the above USSD codes you will get Message from the operator and loan amount / Balance will credited to your account. You cannot take loan twice, to get loan next time you need to clear the already taken loan amount first by recharging your SIM. Let us know if the above codes worked for you and share it if you like it.